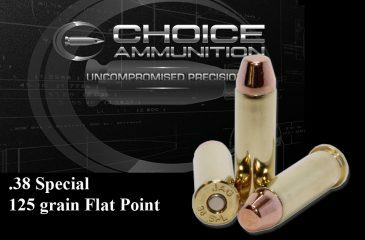 .38 Special Lead Cast 105 grain TCFP- REDUCED RECOIL ROUNDS for training and range applications. With our 100% hand-loading techniques- We place the same care and passion into each and every round produced as those do in their own private loading rooms. These techniques produce the most reliable, accurate round of ammunition available on the market today! 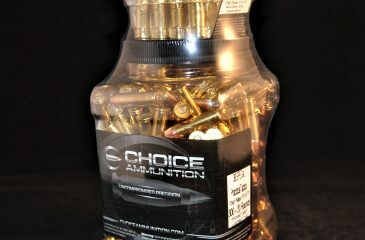 Our mild shooting REDUCED RECOIL ROUNDS are a pleasure to shoot in repetition with minimal kick back or recoil. 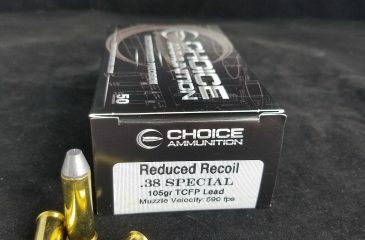 .38 Special 125 Grain Range Time & Real Time Combo~ This combination pack of Practical Range Ammunition and Tactical Self-Defense Ammunition is the perfect mating of “Trigger Time” and “Business Time”. 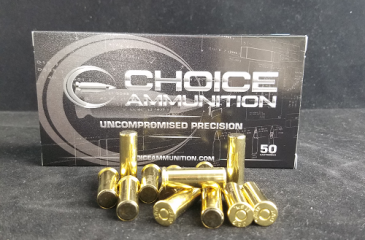 300 rounds of .38 Special 125 grain These Plated Flat Point Bullets are swaged and plated to final weight and re-struck for accuracy and precision. With performance similar to our standard ammunition, these rounds are dependable, accurate and affordable enough for practice. 20 rounds of .38 Special 125 grain Hornady XTP Bullets feature a performance-improved point that has 6 precise folds to divide the bullet into symmetrical sections and initiate controlled expansion at low velocities while not fragmenting at higher velocities. They expand reliably at a wide range of velocities for a deep, terminal penetration with every shot. 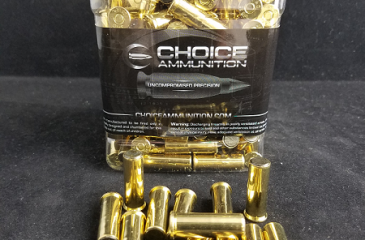 180 rounds of .38 Special 125 grain These Plated Flat Point Bullets are swaged and plated to final weight and re-struck for accuracy and precision. With performance similar to our standard ammunition, these rounds are dependable, accurate and affordable enough for practice. 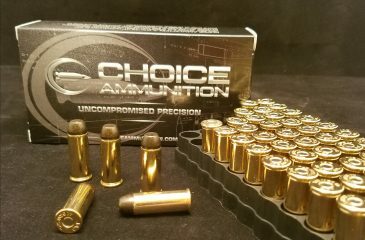 .38 Special Hi-Tek Coated Lead 158 grain RNFP Range Ammo- With our 100% hand-loading techniques- We place the same care and passion into each and every round produced as those do in their own private loading rooms. These techniques produce the most reliable, accurate round of ammunition available on the market today! .38 Special 125 grain Plated Flat Point- These Plated Flat Point Bullets are swaged and plated to final weight and re-struck for accuracy and precision. This premium, precise plating not only reduces the amount of lead exposure during shooting, it also helps keep your bore much cleaner. The flat point design minimizes expansion and the keeps the bullet traveling straight even through heavy hide and bone. The Flat Point also makes a good choice for target practice, well suited for deep straight line penetration. .38 Special 125 grain Flat Point- These Plated Flat Point Bullets are swaged and plated to final weight and re-struck for accuracy and precision. This premium, precise plating not only reduces the amount of lead exposure during shooting, it also helps keep your bore much cleaner. The flat point design minimizes expansion and the keeps the bullet traveling straight even through heavy hide and bone. The Flat Point also makes a good choice for target practice, well suited for deep straight line penetration. 38 Special 148 grain Hi-Tek Coated Wadcutter- Target shooters, here is a great round for you! Unlike a normal bullet that tapers down to a point, a wadcutter has an entirely flat front as wide as the cartridge. In other words, the round is completely cylindrical. Who would want to use such a bullet? Competitive shooters. Normal bullets make holes that can be tough to differentiate when you’re scoring a paper target that’s had a number of shots put through it. 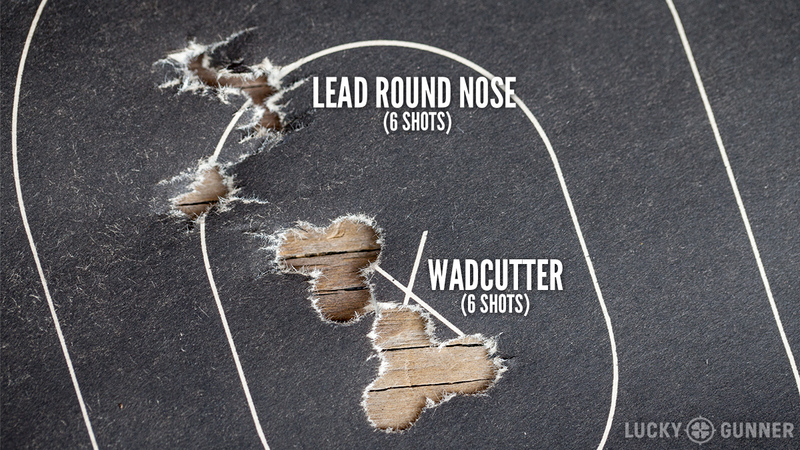 Wadcutters were designed to punch distinct circular holes in paper targets, making life a lot easier when determining who won a competitive shooting match. With our 100% hand-loading techniques- We place the same care and passion into each and every round produced as those do in their own private loading rooms. These techniques produce the most reliable, accurate round of ammunition available on the market today! The .38 Special was designed in 1898 to be a higher velocity round, with better penetration properties than the .38 Long Colt that was in Government Service in the Philippines during the Spanish–American War. The .38 Long Colt revolver round wouldn’t penetrate the insurgent Philippine Morro warrior shields, and the Government contracted the new revolver round to Smith & Wesson. Except for case length, the .38 Special is identical to the .38 Short Colt, .38 Long Colt, and .357 Magnum. 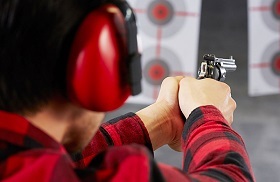 This allows the .38 Special round to be safely fired in revolvers chambered for the .357 Magnum, and the .38 Long Colt in revolvers chambered for .38 Special, increasing the versatility of this cartridge. Hi-Tek Supercoat bullets are safe to shoot indoors. The coating gives off no toxic out-gassing or particulate matter when fired. The coating is absolutely nonabrasive and contains no PTFE or MOLY. The end result is cleaner air, cleaner hands, cleaner equipment and cleaner guns! .38 Special 148 grain Hi-Tek Coated Wadcutter- Target shooters, here is a great round for you! Unlike a normal bullet that tapers down to a point, a wadcutter has an entirely flat front as wide as the cartridge. In other words, the round is completely cylindrical. Who will use such a bullet? Competitive shooters. Normal bullets make holes that can be tough to differentiate when you score a paper target that has a number of shots put through it. 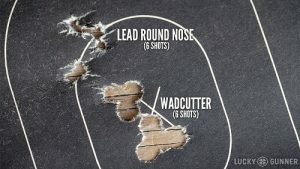 Wadcutters were designed to punch distinct circular holes in paper targets, making life a lot easier when determining who wins a competitive shooting match. .38 Special 148 grain Hi-Tek Coated Wadcutter- Target shooters, here is a great round for you! Unlike a normal bullet that tapers down to a point, a wadcutter has an entirely flat front as wide as the cartridge. In other words, the round is completely cylindrical. Who would want to use such a bullet? Competitive shooters. Normal bullets make holes that can be tough to differentiate when you’re scoring a paper target that’s had a number of shots put through it. Wadcutters were designed to punch distinct circular holes in paper targets, making life a lot easier when determining who won a competitive shooting match. .38 Special 148 Grain Plated Wadcutter~ Our plated bullets are swaged from a custom alloyed lead for uniformity, then plated to final weight and put back in a carbide die to be re-struck to the desired final dimension. 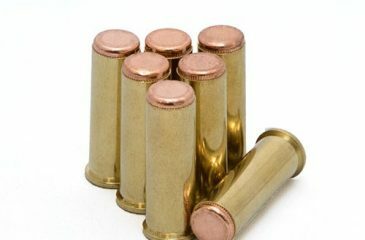 The lead bullets are totally enclosed in 100% pure copper plating to cut down on airborne lead and reduce fouling, while costing much less than jacketed projectiles. Unlike a normal bullet that tapers down to a point, a wadcutter has an entirely flat front as wide as the cartridge. In other words, the round is completely cylindrical. Who would want to use such a bullet? Competitive shooters. Normal bullets make holes that can be tough to differentiate when you’re scoring a paper target that’s had a number of shots put through it. Wadcutters were designed to punch distinct circular holes in paper targets, making life a lot easier when determining who won a competitive shooting match. 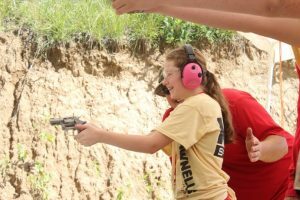 So while we wouldn’t recommend you use wadcutters for self-defense or hunting, their slow velocity is actually very beneficial when training new shooters. Bullets with low velocities have greatly reduced recoil and are really handy when someone is learning the basics of shooting.